in straight words that its not good. attention of many people.Here you'll find a simple way to enjoy new timeline. This is a step by step tutorial on getting facebook Timeline. The Facebook timeline is a feature which displays your news feed in acsending order from your birth. Although if you are an old user of facebook then its hard to find birth or joined date in timeline. want to learn more...keep reading when you'll try it you'll obviously find what the hell is this. 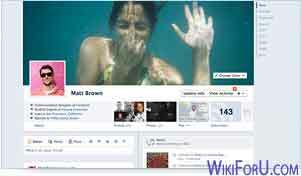 Now let us goto procedure for getting timeline for your Facebook profile. 1. Goto Facebook and login with your details. Now you'll see your news feed, keep this page open. 2. Now goto this page Facebook Timeline.At this page you'll find a button at the right bottom saying "Get Timeline".Click on this button. 3. Now your profile will open with having timeline enabled. 4. Click on update and you'll redirected to profile page where you can add and edit your profile information. 5. When you fill all information correctly, click on Done. 6. Now click on your profile button on right top with About tab. click on Add Cover and choose choose from album if you want to set cover photo from old pictures saved in your albums and if you want to Upload a new photo then choose Upload and select a cover photo. 8. Now click on the publish button on the Right Top of page. You can also click on Start tour if you want to take a little look about basic features. 9. That's all. Now you have new Timeline. You can see a message at the top page saying "Your timeline is now live!". Enjoy this new timeline and comment here what you likes in it and what you don't.